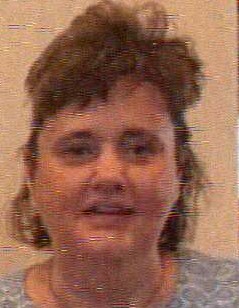 Barbara D. Womeldorf, 49, of Leechburg, died Saturday, March 23, 2019, in Good Samaritan Hospice, Cabot. She was born April 27, 1969, in Natrona Heights, to Robert and Barbara (Shirley) Peace. Barbara was a former girl scout leader in Apollo, and formerly worked as a retail clerk at Giant Eagle in Leechburg. She enjoyed watching her daughter Kristin go bowling, cooking, reading and spending time with her family. Surviving are her mother, Barbara Shirley Peace; two daughters, Kaily Womeldorf of Leechburg, and Kristin Womeldorf of Apollo; her ex-husband, Richard Womeldorf of Apollo; and several brothers and sisters. Barbara was preceded in death by her father, Robert Peace; a sister, Denise Peace; and a brother, Robert Peace. There will be no public visitation. A wake luncheon will be held at the Leechburg Elks Lodge, 228 Market St. Leechburg, on Saturday March 30, 2019, from 11 a.m. to 1 p.m. Barbara's funeral arrangements have been entrusted to the Welch Funeral Home, Ford City. To send an online condolence, please visit www.welchfh.com.